During our last guild war our best players points were not added to the guild's total he did receive his shop reward points. Which may have resulted in us losing our unbeaten record of 14 straight wins! 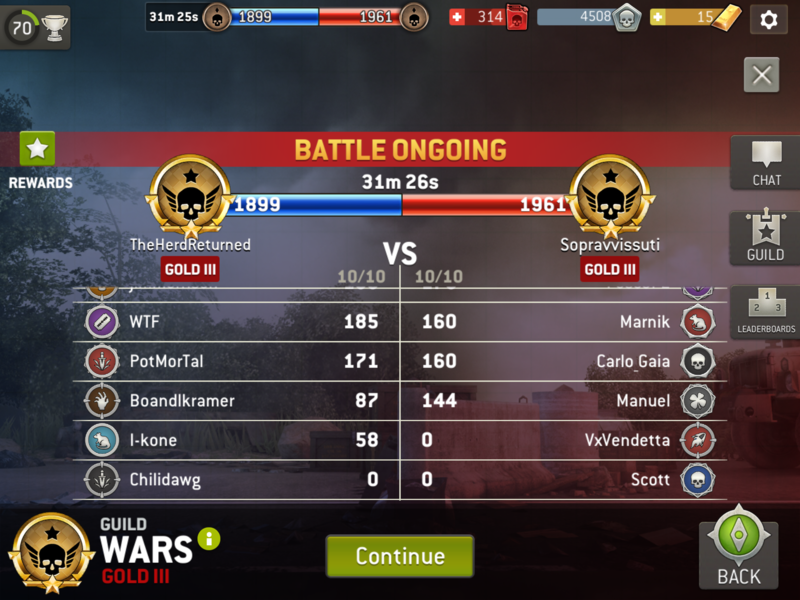 @Scottie , I am sorry to hear that it happened to your guildmates what is your guild name, and the names of people affected? Also, please tell your guildmates to check if they have the latest version of the game! It could also be a possible reason of that. @Vane We have had the same problems with not getting points and our guild uses line app for communication and all our guild have the latest update. One important thing - please make sure that the client is updated to the latest version for the members whose Victory Points are not registering during a battle (the latest version is 3.1.5.4). If it does happen with the latest version of the client still, please let me know. First time really had any problem with guild wars! Thanks for the report, fishy! I've sent you a PM with more details! @Vane One important thing - please make sure that the client is updated to the latest version for the members whose Victory Points are not registering during a battle (the latest version is 3.1.5.4). If it does happen with the latest version of the client still, please let me know. I just lost points and 1 key after my second battle of the day. I was playing for about 20 minutes and checked my score. It was still at 0 after clearing 10 to 15 maps. Closed the game and restarted the game, it took another key when I rejoined the battle. That was the same battle I was in. I believe. Very, very big laaaag. Timer works, but other is frozen. Canis Lupus has been on both sides of half the guild’s points not registering, resulting in losses and the rest of the guild giving up in frustration. We have nothing/nobody left to upgrade, so don’t need more xp/gas bundles. How about access to a freaking legendary badge since we can’t get them on Tomato Monday’s anymore? As I mentioned, it's ruined our unbeaten record for the guild wars this season, everyone in my guild was really proud of our achievement 14 wins from 14 but it's now lost its shine. Same issue with us in Doomsquad Recon. 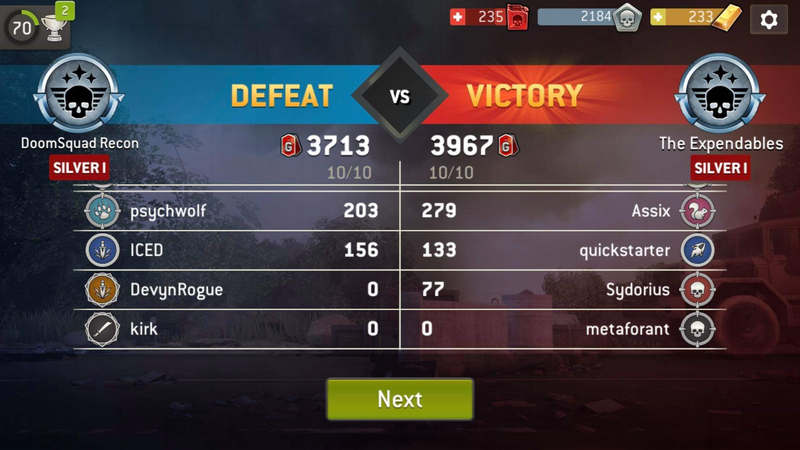 Have lost last 2 battles because players scores are not registering. Please fix this crap because it is getting old fast! 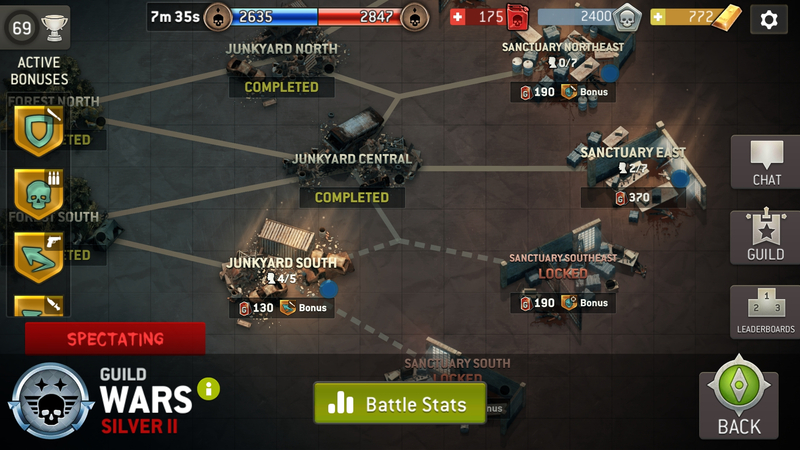 Yesterday I fought map by map and got no Points (third key). When I tapped an occupied map, the game said I was fighting there and asked if I would like to fight there as well. Something is really wrong. And no, it was no other guildemate. Because we are not "THE WESLEY CRUSHERS". I'm still waiting for the answer to my ticket.